Remember the good old days.., you know? Black Panther was the big deal, Thanos wasn’t a threat to anyone (apparently) and Tony Stark thought Bucky murdering his parents in front of a conveniently placed street camera in a remote location and Captain keeping it a secret was his biggest problem? Yes, reminisce those good old days because that will be the last you think of it. Nothing will prepare you for Infinity War. The Avengers and their superhero allies must be willing to sacrifice it all in an attempt to defeat the power of Thanos before his blitz of devastation and ruin puts an end to the universe. The movie doesn’t rely on mindless fighting even though it continually jumps from one intense fight scene to another. When you have a cast of over forty five superheroes from 19 movies over a course of 10 years, you’ll need a great storyline or everyone will yawn at the same time and the collective yawn will blow the roof off the cinema. 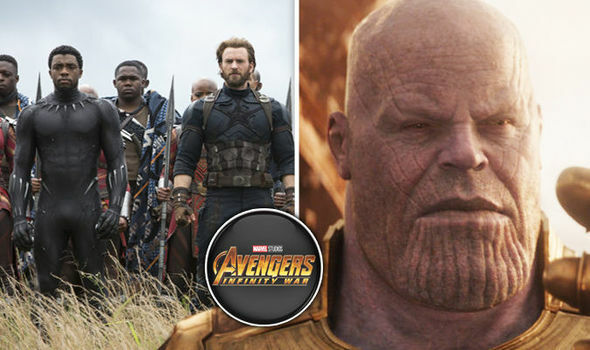 The movie digs deep into Thanos’ personal relationships which is perhaps its biggest strength. The story of Gamora and her “father” gives insight into the inner workings of Thanos, his motivation and his determination. The story of the infinity stones has deviated from the comics over time, from switching up their colors, to their creation and the gauntlet. This has been a strength and a tool to prevent predictability of the movies and enhance creativity. Infinity War preys on this to make you feel like the nerd you’re not but also to not shove comic book content down your throat. Iron Man’s suit up scene in his new bleeding edge armor that was introduced partly in Civil War is probably the most enjoyable badass moment in the first act of the movie. Spiderman’s Iron Spider suit is literally out of this world. To spare you the nerdery, the suits boast new capabilities like rocket thrusters that can push Iron Man into space without the suit malfunctioning like in Iron Man and giant metal spider legs, like in the comics. The movie takes time to showcase Thanos children, the black order and how terrifying they are. Hint: Consider an advanced evil Doctor Strange, Hela with half her god powers but twice her fighting abilities with thousands of minions the size of Drax. Besides a few dramatic entrances, most of the avengers are barely in the movie. This is probably because this is one of two movies. They had a lot to cram into 2 hours and 40 minutes including credits. This doesn’t do any good for an avengers’ “reunion“ especially after the events of civil war. The movie preys on a couple of cheap tricks and deeply emotional moments to drive you from having dog urges of jumping out of your seat with excitement, to gradual dead silence, and to tears. This is so evil of the MCU considering we thought what happened to Quicksilver in that forgettable Avengers movie, a few days of Ultron was just a psyche. From the Chitauri, the Ultron bots and now to the minions in infinity War. Marvel still cannot figure out how to end an Avengers movie without a big fight against a disposable CGI army. Not to say that the fights aren’t fun but they feel cliché over time. This movie is not your average MCU movie. It’s one that will make everyone stay seated at the end, hoping for a closing credit scene trick then move silently out of the cinema like a poor goat that has been rained on. You may say, it is relentlessly depressing. On a scale of Winter soldier to Avengers, Winter soldier being the best movie in the MCU and Avengers being the fifth best, it lies between Black Panther and the Civil War. It will make you laugh, cheer, depress, cry, search for nerd theories to help with your depression but the hardest part will be keeping spoilers to yourself. It takes only two words to spoil the whole movie. If u didnt know Thanos was winning this then u didnt follow. Him winning without killing Steve Rogers or Tony Stark. That is shocking. Whoever wrote this (Andrew, is it?) U have weird ties to Winter Soldier but it is not the best MCU movie. Ragnarok is the Best MCU movie followed by Infinity War, Guardians of the Galaxy then Winter Soldier.